"In S. Cal in the 70's (I lived in Whittier from 70-73 and Redondo Beach from 73-77), there were many many primo Mex's that would blow you away. While its true that there were plenty of bad Mex's too?you would run across a least 1 or 2 Mex's a month that would turn you slant-eyed---and at only 10 bucks a lid. Starting around 1970, we starting getting the commercial Colombians that you described--brown and tan. Commercial Colombo went for about 200 a pound because guess what happened in 1971? The pot world really started to change in 1971--there became a new designated Colombian and it was called connoisseur Colombian. These pots cost an unbelievable 50 to 60 dollars a lid --at the time I couldn?t believe I would ever pay that much until...I smoked some. Colombian redbud--marijuana that had the reddish color of tobacco and an indescribably "red" flavor and taste. The resin from a smoked joint was so red that it looked like you had blood on your lip. And Colombo Goldbud--totally gold pot that had absolutely not one trace of brown, red or green in it---a spicy piney taste and an exhilarating high and Colombo blackbud--more of a purple and having a devastating "creeper"--one of the hallmarks of the Colombian. These pots were seed and that gave way to the new wave of pots in ?72-?73---the sinsemillas. The Mexicans had been losing market share to the Colombians so they started flooding California with green and brown sinses that could really pack a wallop. Lots of light green skunks and gold/brown sinses that went for 50-60 bucks--just like the connoisseur Colombos. And if that wasn't good enough, in the 74- 75 years Hawaiians started becoming available. They were seedless, sativa, sweet, fresh and were of course unbelievable and went for up to 100 dollars an oz. (lids out, ounces in). At that same time, a lot of Thaisticks started becoming available--they were 20 bucks a 2.5-gram stick and were worth it. Spacy, powerful, blowaway pot. To round out this smorgasbord was Jamaicans, which briefly were very very good before they started to export crap. Those times were the best time ever for pot. Plenty of primo Mexicans, sinse, Colombians, Hawaiian, Thai etc. But as the 80's approached, there were lots of more indica based stoner pots that was real wheelchair pot. Lots of super heavy Afghans and skunks but the lighter budded sativas became much less common. Willy?s Wonder, or William?s Wonder to the more formal, is one of those cannabis strains of legendary status that you?ll just have to try to fully appreciate. Indica-dominant with Afghani genetics, Willy?s flowers are colorful with all possible hues of green, yellow, and red. The strain?s aroma is an equally diverse mix of tropical fruit and citrus that also comes through in its sweet and sour taste. 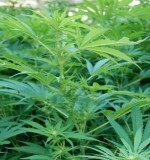 It was originally developed in the 1980s and has only grown in popularity and potency since then. New patients be warned, however, as this strain may be one to work up to. Kong is the next step in plant genetics for yield. Easily capable of yielding 4 lbs per 1000 watts! This is not a misprint! Kong is not Big Bud, or a Big Bud derivative. They're has never been anything like this in the world of cannabis production. Kong will be the benchmark by which all other plants are judged. The mother plant was purchased for ,000. And now after a year of intense testing and experiments, is finally available. We have crossed the Kong super plant mother with an early and potent White Russian x Bubble Gum male. Since both of these plants are from diverse genetic gene pools you can expect very good hybrid vigor. Flowering is 63 days and potency is extremely high. It doesn't get any better. This plant will blow away the best Big Bud yield. Colas for this plant will reach sizes equal to a 2 Litre Coke bottle! This plant really packs on the weight in the last 2-3 weeks of flowering. Big Sur Holy Weed is one of the legendary California strains, but not from the Emerald Triangle. Big Sur Holy Weed comes from the coastal area of California just south of San Francisco and Monterey. It is one of the most beautiful places on earth. A monk named Perry living in the Big Sur area back in the 70s originally developed this strain. This strain smells delicious and packs a buzz more Hybrid-like and ?old school.? If your youth years consisted of the 70′s or 80′s, be sure to get your hands this one. A Reeferman classic bred by Charles Scott, the psychedelic and trippy Big Sur Holy Weed will take you back in time. Beatrix Choice was one of the original offerings from the Super Sativa Seed Club, listed as M27 in their 1987-88 catalog, as well as their 89-90 catalog. Serious smokers know, pure Sativa is a smooth smoking experience not soon forgotten. Kali is a superb Sativa with a high calyx-to-leaf ratio, and long running tops that produce full, fluffy buds. Expect this goddess to produce a high resin content with spiral buds that carry an extremely spicy scent. Kali Mist won the 1st Place Cannabis Cup in High Times 1995 hydro competition, and is the personal stash for expert gardeners! Amstel Gold is an Indica variety developed in California in the seventies and has been grown outdoors in Holland since 1980. Smokes soft with a citrus like aroma and has a good high. Easy to grow, grows with long compact resinous buds. One of the best green outdoor varieties in our collection. Bazooka is a cannabis variety, as icts name indicates, explosive. It results from the crossing of Bubble Gum and Citral Kush. It?s a purer stump Indica coming from The Indian Kush In Afghanistan. This first generation hybrid is a perfect plant strong totally Adapted for the crop in full due to air icts exceptional resistance in front of outside attacks. It Becomes enlightened aussi very well indoors. This strain is the BC Hash Plant. The origin is back in the pre Russia invasion of Afghanistan and the Indo Asian type weed strains smuggled back to the islands 25 years ago. The basics were developed outdoors. The Champagne marijuana strain is an intense combination of Hashplant and a Kush strain that was pollinated with a male Burmese cannabis strain. The Champagne marijuana strain offers patients an exquisitely pleasurable medication. The effect of the Champagne marijuana strain sets in nearly immediately and lasts anywhere between an hour and an hour-and-a-half. The Champagne marijuana strain is ideal for patients with depression, inflammation and migraines. This 50/50 hybrid is very popular. Coated with trichomes, more experienced cannabis patients often use Champagne to make high-quality hash. A legendary potent British Colombian indica strain rumored to have been developed by the Canadian government as a medicinal strain for cancer patients. Now apparently found only in cuttings or crosses such as MCW. Early Girl is the wallflower of cannabis strains since its introduction in the 1980s. Lovingly preserved by the breeders at Sensi Seeds, this strain is lazy and relaxed, nothing over the top. A 75/25 indica-dominant hybrid, Early Girl is a good one for those new to cannabis who would like relief from stress. Also a great strain for novice growers, it's compact, resilient, and has a particularly short flowering time of 7 to 8 weeks. Early Girl grows especially well outdoors, but won?t put up a fuss if she?s stuck inside. 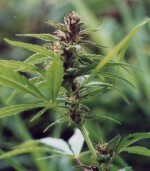 Ed Rosenthal says Early Pearl came from the Midwest, but was a cross of Early Girl and Polly, an early California sativa. About 70 days to flower, and turn up the lights!! Don't expect a large harvest from this one, consider it a treat for your personal enjoyment considering the time you'll have invested in it. It is highly regarded and very good. If you can do it outdoors, then good for you. This variety brings back that majestic legendary marijuana from the great Alaskan Northland. Highly recommended by the best fishing and hiking guides in the Matanuska Valley. The buds are huge and solid as Danali "Mt. McKinley herself. A glacier of THC crystals frosts her colas and packs more power than an icepack polar bear. Persons prone to altitude sickness should use caution. Mighty Mite is a famous BC indica strain from the Himalayas cultivated for 12 - 15 years here. It is uniquely suitable for indoor or outdoor cultivation. All Mighty Mite varieties and hybrids feature a dominant main cola that explodes in the 6th to 8th week of flowering. Heavy budding and lots of crystals makes up this plant, larger colas than Kush alone. Smooth smoke and excellent high. Easy to grow, and great for both indoors and outdoors. Potency: 4 out of 5. Frost Resistance -Spring Very Good, Fall Good. Niagara x Shiva was developed as a cross in order to capture the happy, silly effect of Sensi?s Shiva in combination with Niagara?s devastating potency. The resulting plant is a half and half indica / sativa mix that offers a more irreverent happy buzz and lighter taste than the Niagara while still proving easy to grow in the great outdoors of northern climates. Huron is a great outdoor plant for temperate latitudes, including most of Canada, Europe and the northern U.S. The best outdoor environment is in deep fertile soil, where it finishes by late September. Huron has survived the ultimate frost resistance test:unexpected snowfall although handling frost is stronger in spring than autumn. One thing is for certain, the original pure Romulan has much more sativa than a simple Kush/Afghani. Much more aroma as well, it's pungent pine bud aroma is what makes it stand out as something unique. The original mother clones have been around for about 20 years. Another term that keeps popping up when describing Romulan is the old California blue indicas. I met with Romulan Joe a little while back and discussed Romulan's heritage, I think I recall him mentioning some Mexican sativas but don't quote me on it, I wasn't taking notes, haha. SAGE stands for Sativa Afghani Genetic Equilibrium, but also describes the aroma of this interesting hybrid. SAGE's mother is a native Californian called Big Sur Holy, a sativa with a long finishing time but strong mold and bug resistance. She is combined here with a chunky Afghani indica selected for its extreme characteristics ? hardiness, tight internodal structure, and fast finishing time ? and grown from seed for cross breeding. Sounds very similar to the Sage x Big Sur Holy I tried in Amsterdam. Absolutely best stuff I've ever had. One small b-hit was all we needed for a good six hours. Seeing how it's a cross, the next generation should be rather unstable. Emery has the seeds (but are they F1 or F2?). I got mine across the pond. Also way too pricey from him (0 for 10 seeds!) Buds aren't too big, but at 47 days they're just COVERED in crystals. The harvest window is supposedly 60-75 days indicating sativa. Strong mostly Sativa hybrid. Heart racing paranoid cannabinoid profile. Toasted oats. Tight little strawberry shaped bud. The edges of the sugary leaves curl with crystal! The golden stems are the blondes. Wicked personal! F2. Sweet Pink Grapefruit x Blueberry Male x Grapefruit F1 Backcross to Mother. These seeds are from the first backcross. Very sweet, mostly indica. Fruity, frosty & fairly fat. Mostly lime green bud with royal purple accents. Outdoors the calyxes are prone to purpling completely. The sugar taste is almost sickly sweet. Texada Timewarp is the famous outdoor strain grown originally and still today on Texada Island, a longish island in the Georgia Strait. I have been there, just off the coast of Powell River, by BC Ferries, specifically as a pilgrimage because I felt sincerely, " I should go to these places and find out who knows the history." since I often end up as spokesman for "us". Yumbolt brings back that old-fashioned flavor from the hills of Humbolt Co. California. Possessing a sedative stone with an outdoor aroma, she will often induce heavy eyelids with a satisfying smile. From the first toke till the last the taste remains. A producer of large succulent flowers, this girl will qualify for every grower's needs. Let Yumbolt produce nice dreams for you.